For the 1:32 F-16 kits, a set of superdetailed 16S210 Sidewinder launchers would be most welcome. Those are lacking in the Tamiya F-16CJ Block 50 and F-16C Block 25/32 kits for the underwing stations 2/8. Only a pair is included in the Block 25/32 kit (the one with Thunderbirs decals) for the wingtip stations 1/9, but were often carried on the underwing stations, too. The Block 40/50 have the updated LAU-129 on the wingtips, but often the 16S210 was used for the AIM-9M underwing stations. Zactoman has some very nice AIM-9M Sidewinders available. 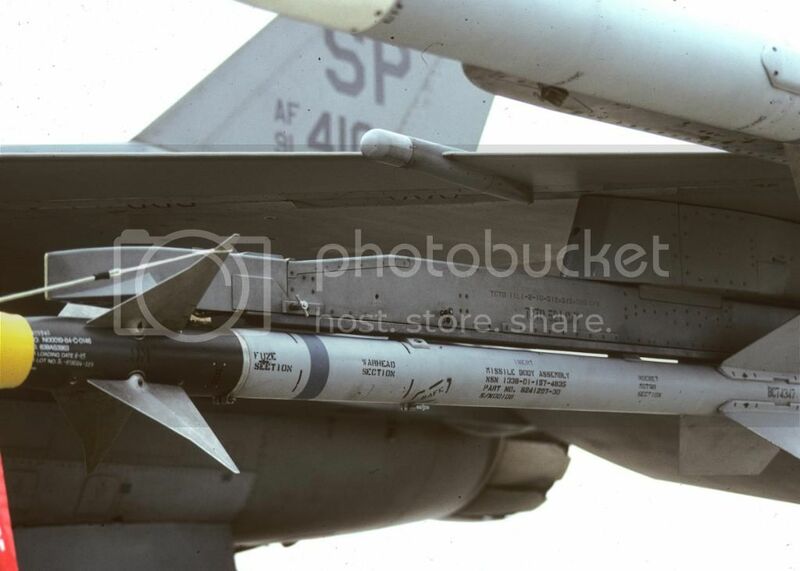 It would be great to get some launchers for hanging those on a 1:32 F-16C. That would be nice if zactoman made the S210 launchers. I am sure that the demand is high for these launchers! Hopefully Chris will work on those. 1/32 scale MCID (big mouth) intake to replace the horrendous one in the Academy Viper kit. We have the NSI intake, I know there are a boatload of folks waiting for the MCID intake. Mind if I make a suggestion or two. (1) A corrected vertical tail base for the Academy / AFV kits, "get rid of the triangular look"
(2) A vertical tail base for the 32nd Tamiya kit with the BLOS mod panel incorporated as part of the base. And last, 1/32nd Pratt nozzles opened and closed for the Tamiya kit would sure be welcomed! Agree, NSI and MCID intakes for both Tamademy!